Madalena Duarte lives in Itaúna, Brazil. She has been a waste picker for 40 years. She has worked at COOPERT (Cooperativa de Reciclagem dos Recicladores da Rede de Economia Solidária) for 13 years. 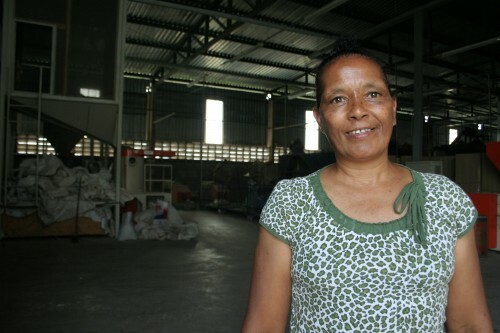 She has also worked for 7 years at Cataunidos, the first waste picker-run plastic factory in Latin America. She is a national coordinator for the National Brazilian Movement of Waste Pickers (MNCR). She served for two years in the operations secretariat of the Latin American Network (Red Lacre) and today is a delegate of that network. “We are creating models of how to work with society,” she said.